If the shipping industry were a country, it would rank as the sixth largest carbon dioxide emitter in the world, placing it roughly level with Germany. The shipping industry already accounts for around two per cent of the world’s carbon dioxide emissions, but it is feared that this figure could rise by 2050. To prevent this, earlier this year the International Maritime Organisation reached an agreement to cut emissions from the sector by at least half by 2050. Now a UK consortium, led by Southampton-based Bowman Power Group, has developed a system that could help the industry to move a step closer to meeting this target, by improving the energy efficiency of a range of marine vessel types by up to 7.8 per cent per year. 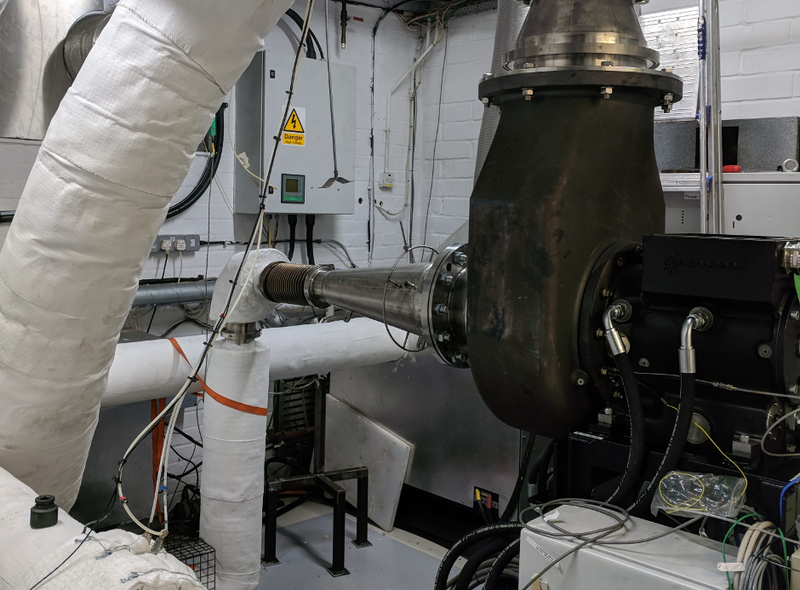 The £1.5m project, which was partly funded by Innovate UK, also included Rolls-Royce Power Systems, Lloyds Register and University College London (UCL). The system is based on Bowman’s electric turbo compounding (ETC) technology, a type of turbo generator, according to Shinri Szymko, head of engineering at the company. “There is a turbine at one end [of the system], which sits in the exhaust of the engine, and effectively spins around absorbing energy from the exhaust flow, and turning it into electricity,” said Szymko. The device’s power electronics system then converts the output from the generator into grid-quality electricity, he said. 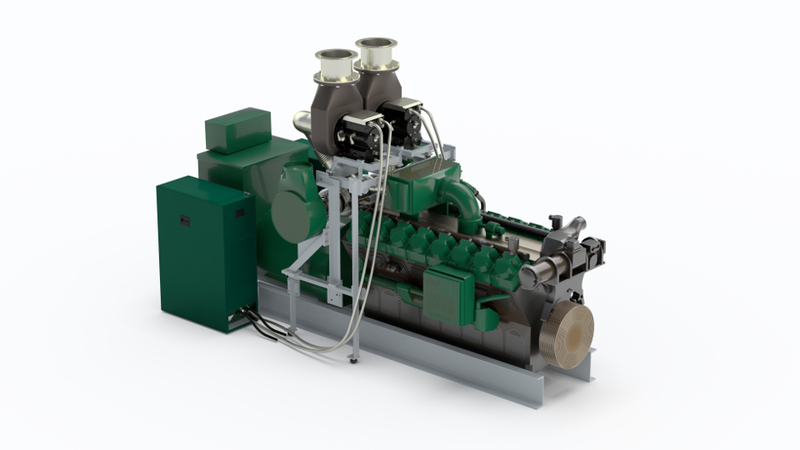 Rolls-Royce Power Systems provided the project team with key information and simulation results for its MTU Series 4000 M93 engine, which is commonly used in the marine industry. Meanwhile researchers at UCL investigated the feasibility of applying ETC technology to a range of marine fleet sectors. The researchers have developed software that enables them to model complete ship systems, said Szymko. “The software allows them to understand how efficient a ship is during the different manoeuvres, and in the duty cycle of sitting in port, and then going out to sea,” he said. In this way the team were able to investigate the benefits, performance, limits, secondary impacts and expected results of the technology. The researchers added the ETC technology to the model, and then examined the resulting efficiency of a range of different vessels, including passenger ships, tankers and cargo vessels. They found that for all the different ship types, the system would save up to 7.8 per cent of fuel per year, based on the realistic operating conditions of those vessels. The model also predicted that the technology would pay for itself in just 2.3 years. Once the modelling work was complete, Bowman began developing prototypes and testing the system. They built seven different turbo generator and power electronics prototypes and tested them in different applications, including in a specialist test facility, and within a number of land-based applications. This allowed them to simulate real operating conditions. To ensure the system complied with marine regulations and standards, the company also worked with Lloyds Register to develop mechanical and electrical marine compliance response documentation. As a result, Bowman was able to produce a road map, validated with testing, to produce a marine-capable ETC system. The company has since held discussions with two large marine engine OEMs, and a major ferry operator, about commercialising the technology. This looks really interesting as a power enhancing technique. I assume that the back pressure on the engine increases and this is compensated fro by the power. A typical marine diesel at high load exhausts at about 400 C if I remember right. This must reduce the temperature by about 100 deg K to work as stated. Look forward to seeing the performance data for this technology as surely it can apply to all diesels engines to some extent? Hi Jack, thanks for the comment. Yes you are right, the back pressure on the engine increases but the net power (engine plus turbogenerator) is positive giving the stated advantage. Exhaust temperatures are in that region, although they can be up to 100deg hotter and the temperature drop is as you say at peak operation. This idea has been around for many years. It would be interesting to know whether a separate turbine was better than putting a generator on the turbocharger shaft. Hi Clive, thanks for the comment. 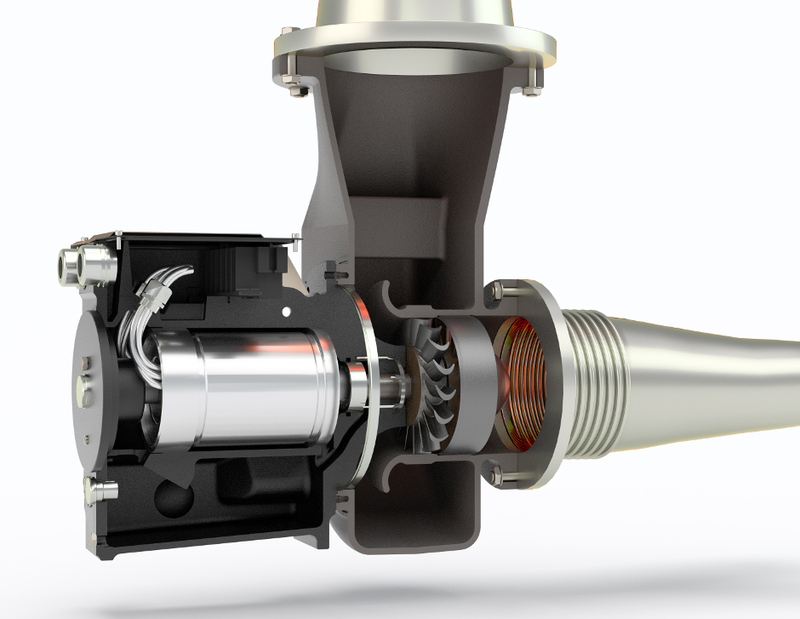 The separate turbine is a more practical and flexible approach as it allows the same turbogenerator to be used on many different engines. Performance wise both options are similar. It is good to see a significant rise in efficiency like this. However for centuries we were navigating the seas with bundles of free power at our disposal. I believe what is need is a 21st century solution to windpowered / assisted technology. Diesel electric power would then only be a back up, so how eficient would that be? check out the Flettner rotor.